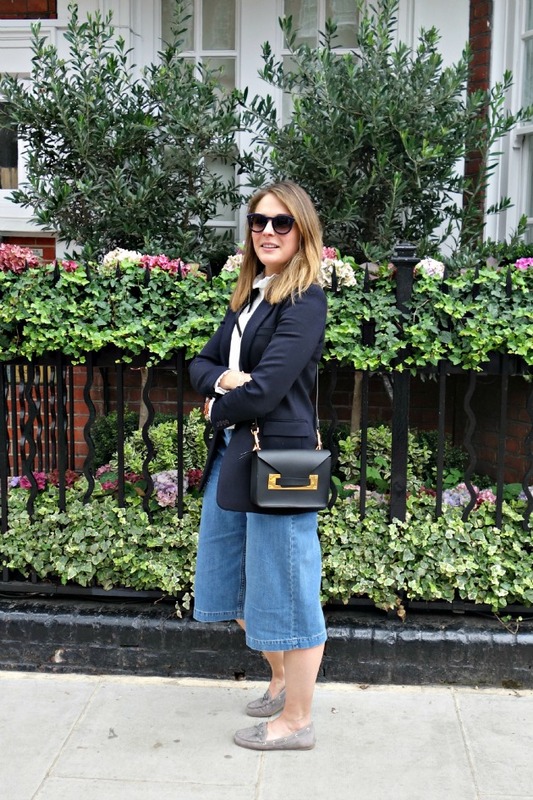 It also gave me the opportunity to road test some new pieces - a new silk shirt from Reiss (coined as the "man repeller shirt" as it covers everything up in a very Dickensian fashion). I have always wanted a good, Victorian style top and this 110% fits the bill. 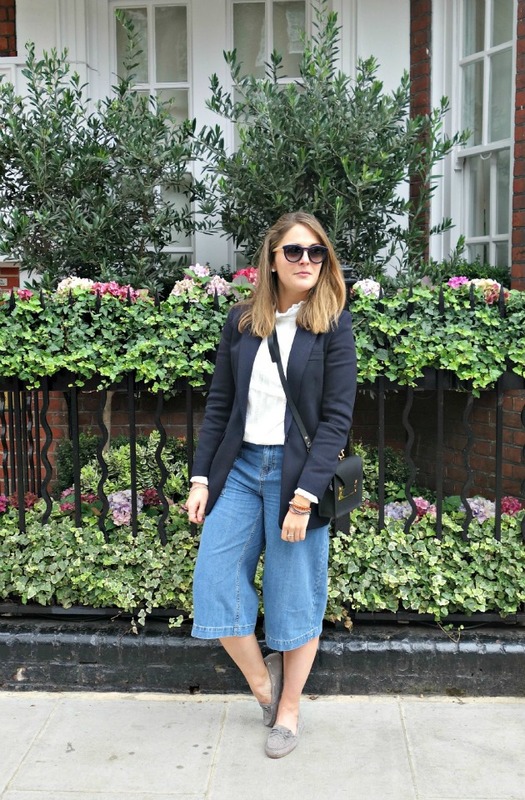 The culottes have been a summer staple for me, from River Island here. 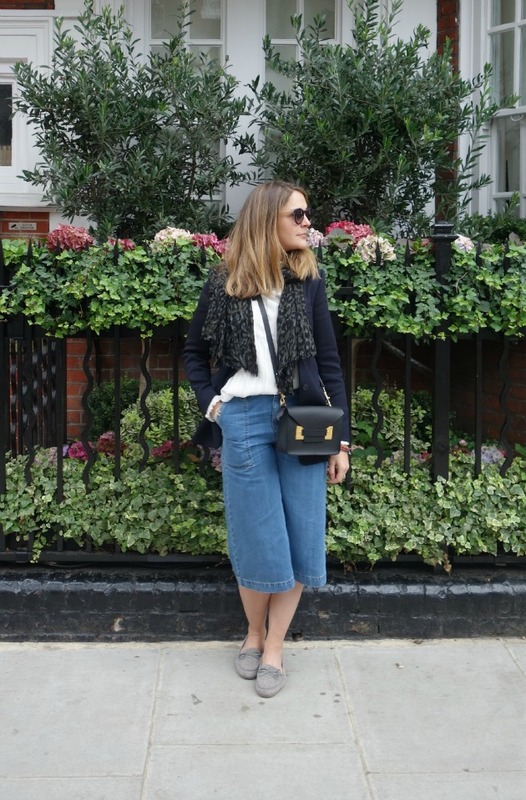 Now its a bit cooler I'm wearing them as a replacement to a midi skirt - nice alternative and love an excuse to wear some denim again (they're now £15 in the sale). The jacket is definitely one of the most useful pieces I've acquired this autumn (I first wore it in Paris in September). 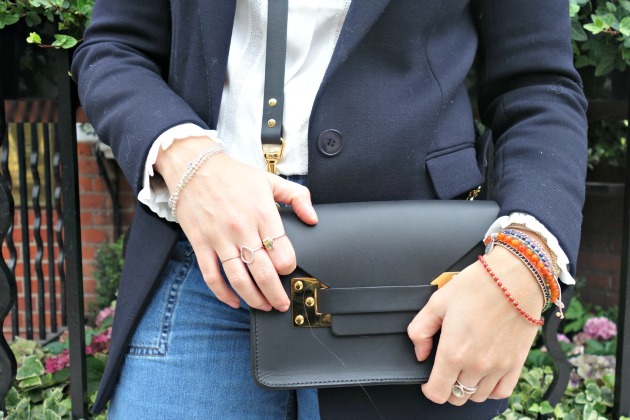 It's from Reiss and is actually now in the sale here. It goes with everything, I'd stupidly hidden it under one of my boyfriend's blazers and so hadn't worn it for a while. Now that it's resurfaced I'm wearing it most days as it makes dressing a little bit smarter a whole lot easier (also very much recommend it for anyone who doesn't like their arms because it sits wide on the shoulder which frames your shape and makes your upper arms look smaller). Accessories wise (not including Sophie) I'm wearing a tonne of Astley Clarke jewellery, including a piece from my brilliant friend Naomi's collaboration with the designer here. 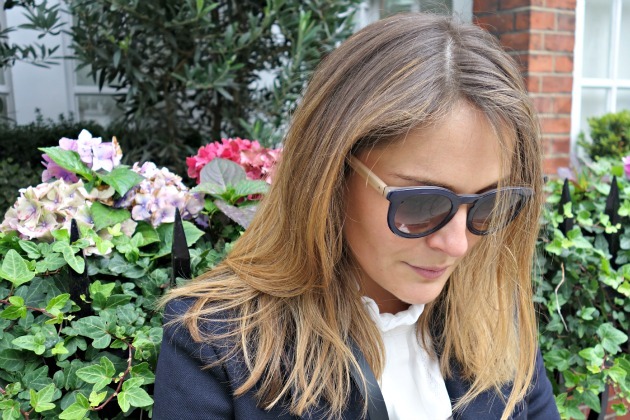 My sunglasses are from Tommy Hilfiger, who I'd never think I'd be wearing as when I think of the brand I think of my first ever perfume when I was fourteen. I love them, never had navy sunglasses before but will do a lot more in future. The scarf is super old from Whistles… They have a really similar one here for this season. Finally my shoes, a recommendation from Rose, are, as she puts it "butter soft" and super comfortable. Check them out here, they've been reduced since I got them - so even more of an incentive!